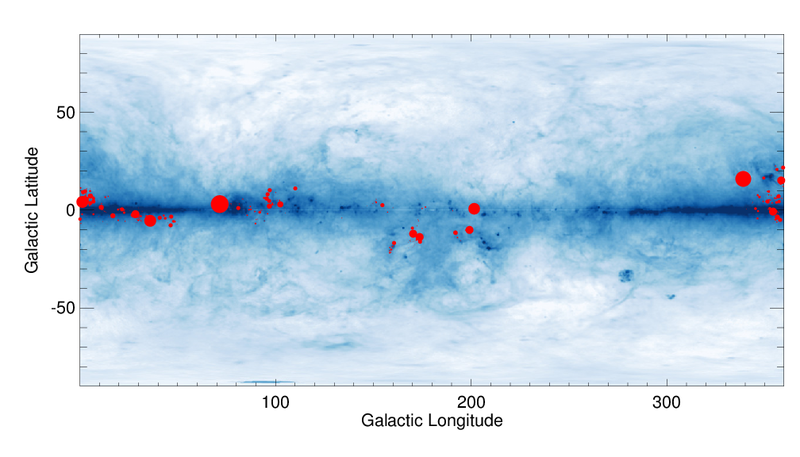 This map shows the locations of Barnard’s objects (red circles) on top of the SFD dust map. The size of the circle is proportional to the size of the nebula as reported in Barnard’s catalog. Shells & Supershells Page “H I shells and supershells.” Heiles, C. Astrophysical Journal, Part 1, vol. 229, Apr. 15, 1979, p. 533-537, 539-544. Full text here.